Summary: Been there, done that. There is nothing new or significant about this release, and I'm glad that I rarely review this garbage anymore. 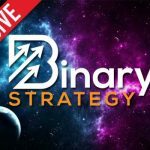 It’s been quite some time since I’ve reviewed the binary options software, but that’s exactly what I’m looking at today with Global Investment Satellite. This trading software is promising returns in the area of $750 per hour using a secret algorithm that relies heavily on GPS technology. The reason I haven’t reviewed software is like this in recent times, is because I’ve given up on most of the software developers, and this review is a great example why. The developer of the software claims to be Richard Heffner, the CEO that wants to share his binary options trading system with the world. Yet, it’s very difficult to trust in Richard because he has been the face of many other trading products that have made similar promises and have failed to deliver. To get in touch with support, traders can email [email protected]. Honestly, it’s been very refreshing to stay away from reviewing systems like Global Investment Satellite for the past few months. Part of the reason why I’ve stopped reviewing these systems is because there are fewer of them being released. The other part, is the fact that despite reviewing hundreds of them over the past few years, those that fit this mold, have never turned out to be anything more than a major disappointment. The products that don’t do well, always have a very similar layout, and marketing approach. The main reason for this, is that there are only a few developers, but they release the same systems over and over again under different names with new videos and nearly identical sales pages. In this case, that’s exactly what we are dealing with. As I mentioned above that one of the introductory paragraphs, the developer Richard Heffner has been the lead actor for many binary options products that have failed the community. Products like Terabit Trader, GPS Trader and Maximus Edge Autobot are just a few examples of these. When it comes to the strategy behind the Global Investment Satellite software, we are told that it uses a “patented trading algorithm that analyzes billions of market variables one millionth of a 2nd before your final auto trade expires.” This sounds good, but there is no real proof or evidence of any kind to substantiate these claims. The developers tell traders want they think they want to hear. There is no real discussion of the strategy, and I believe that the claims and promises being put forth are all lies for the sake of marketing. While we are promised $750 an hour, the developers can’t muster up any trading results to confirm this. The creators of the Global Investment Satellite program need to do a much better job at putting forth a professional trading approach. There is nothing that suggests this system will actually perform well in the short or long-term. I believe that it is irresponsible for any product creator to make promises they can’t prove. There is no reason for anyone to sign up with Global Investment Satellite. As far as I’m concerned this is not a viable investment opportunity, and the creators of the software have done nothing to convince me that this is a truly professional trading product. Please let me know what you think, by leaving your questions and remarks below the article now.